Hey there! Today we’re so excited to have the opportunity to introduce another very talented debut author on the reading with your kids podcast. Please welcome Kristi Wientge, author of a wonderful middle grade novel Karma Khullar’s Mustache. Kristi tackles the uncomfortable—but all too relatable—subject of female body hair and self-esteem with this sweet and charming novel in the tradition of Judy Blume. Be sure to tune in to this episode to discover all the fun facts about Karma Khullar’s Mustache! Kristi Wientge is originally from Ohio where she grew up writing stories about animals and, her favorite, a jet-setting mouse. After studying to become a teacher for children with special needs, she spent several years exploring the world from China to England, teaching her students everything from English to how to flip their eyelids inside out. She’s spent twelve years raising her family in her husband’s home country of Singapore, where she spends her days taking her four kids to school, Punjabi lessons, and music. With the help of her mother-in-law, she can now make a mean curry and a super-speedy saag. 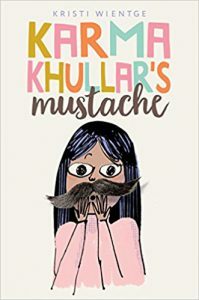 Karma Khullar’s Mustache is her debut novel. 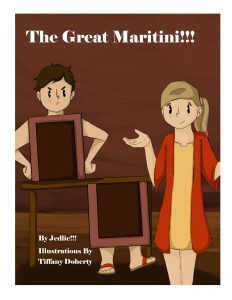 Kristi describes her book and tells us how her main character Karma teaches kids to be proud of exactly who they are. 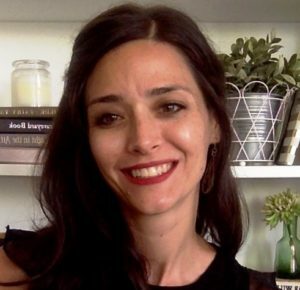 Explains how she loved highlighting things we think are so different but in fact are so similar to our “normal” such as lunches, clothing, or culture..
Kristi also discusses what’s next for her after Karma Khullar’s Mustache & more…Happy Listening! PreviouslyDaring Rescues by Amy Waeschle! Read NextMeet Paisley: A caterpillar’s journey into becoming a butterfly!